The long and short: Hyatt has more than 700 hotels worldwide. Small Luxury Hotels of the World (SLH) has a collection of more than 500 properties and an impressive European and Asian footprint – something Hyatt needs. The partnership is fantastic for high end Hyatt loyalists who prefer boutique luxury to the large resort properties Hyatt typically offers. It’s also a big win for SLH as it will draw many Hyatt loyalists to their properties that may have otherwise overlooked or decided against an SLH property. But, is there a bigger winner than both Hotel companies? Let’s walk through my thinking. A Helping hand to loyalists looking to qualify and leverage status for aspirational trips. For a global chain, 700 hotels worldwide is a small footprint. Hyatt recognizes that their Hyatt Gold Passport devolvement into World of Hyatt was more than a lot of loyalists could stand to chew. While benefits for top tier elites got richer, qualification became very difficult. Stays were eliminated and 60 nights were required to hit status. 60 nights at 700 hotels? Marriott reps 6k properties and IHG over 5k. You can guess how that turned out. While SLH caters to a relatively niche luxury market, it’s very helpful for a broader Hyatt loyalist. Not only do you have more options to book a paid stay that may provide a different feel than your traditional business hotel, but it provides a reason to go out of your way to stay with them throughout the year. The aspirational redemption. They partner will drop dead gorgeous hotels in areas that normally are unattainable with hotel loyalty points. Now they will be, and that may be enough to lure loyalists to stay more often. If you can stay at that Baros ( the above image ) after a year’s worth of corporate travel…you may be willing to drive a little further to stay at a Hyatt Place than the closer Marriott/IHG/Hilton property. The above image is of Baros Maldives – rates start well over $1k a night. Who knows if this will be a redemption option, and at what price, but right now we can dream. It also leads me to my next point. Will these SLH properties fit into the traditional category structure of Hyatt, or some price out of it, similar to Miraval? Will all of SLH properties be available for redemption? Will cash + points be available? Etc, etc. We’ll find out later this year when the programs are integrated, but SLH has some amazing properties in its stock. It’d be phenomenal to gain access to them all. Hyatt is debuting a Park Hyatt in Auckland, New Zealand, but how bout this SLH property, Eichardt’s Private hotel. WOW – what a view! I’d like that for the price of….points, please. Chase is a ( the?) big winner. Certain cardholders just got another 500+ redemption options. 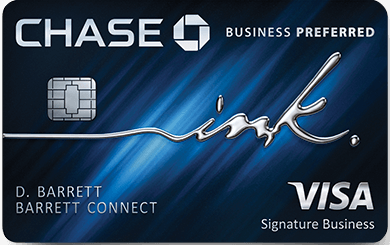 Chase debuted a winner with the new World of Hyatt card – it just got way more valuable. Your potential redemption options almost doubled, and fingers crossed that earnings at these hotels will qualify at the 4x level the card offers, and if the anniversary free night is good at these properties – the card just got WAY more valuable. But don’t forget Chase has their own loyalty program, Ultimate Rewards, which features the ability to transfer points to Hyatt 1:1. That’s already one of my favorite uses of the program, but now that I can potentially access 500+ beautiful boutique hotels around the world via a Hyatt transfer, it’s an even richer proposition. The reason I think Chase/ Chase Cardholders may ultimately be the biggest winner here is access. There isn’t a program that has a better redemption rate than Hyatt, and if these boutique SLH properties fit into their current pricing structure…it’s more reason to spend your money on Chase cards vs the competition. Previous Article Cut your hold time. 3 tips to get to a customer service rep on the phone faster. Next Article How does a free night every year and 100k+ welcome offer sound?